The first step to becoming a leader is to take action. It doesn’t matter what needs to be done. If it’s a difficult presentation, start putting together an outline. If a team conference call needs to be held, volunteer to host it. If a project needs a coordinator, offer your services. Choose to take on more responsibility and step up if you want to be recognized. Next, you need to practice. That’s right. In the words of the former Philadelphia 76ers all-star Allen Iverson, “We talkin’ bout practice.” Prepare to become a leader by reading books, attending trainings, and taking courses on the subject to improve your skills. Leaders are always growing and improving. Make a conscious effort every day to get better. Leadership isn’t built in a day it’s built daily. You don’t need to do a lot. It can be as small as reading 10 pages a day from a book on leadership, or listening to 15 minutes of audio designed to instruct and inspire greatness. 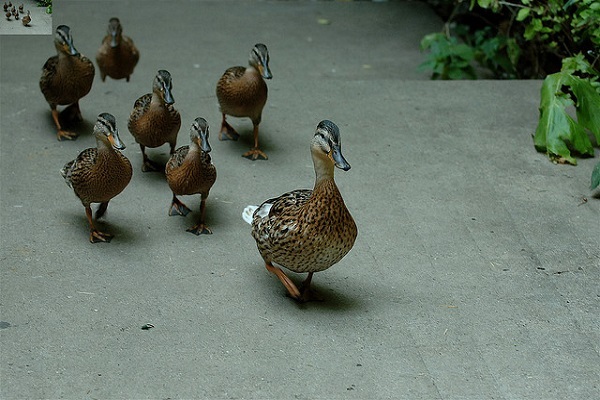 If you want to become a leader you need to stay ahead of your team or they might not follow you. Great leaders are self-starters and self-motivated. They don’t wait for someone to hold their hand and walk them through what needs to be done. At the same time great leaders are not afraid to ask for instruction and ways to improve their results. They seek constructive criticism so they can improve faster. One way to shorten that learning curve is by studying other people’s experiences. There is no reason you should have to fail over and over to learn from your own mistakes. Seek the advice of other leaders so you can rise up the leadership ranks faster. You can’t expect to lead your team somewhere you’ve never been If you’re not where you want to be I’d suggest taking a long, hard look in the mirror. Leaders take responsibility for their actions and results. Lead by example, take charge and people will start to follow.